Meet the people who shook the world with science! Being a brilliant scientist doesn’t have to be about sitting in a lab all day. The scientists in this series not only did amazing work; they led pretty amazing lives as well. 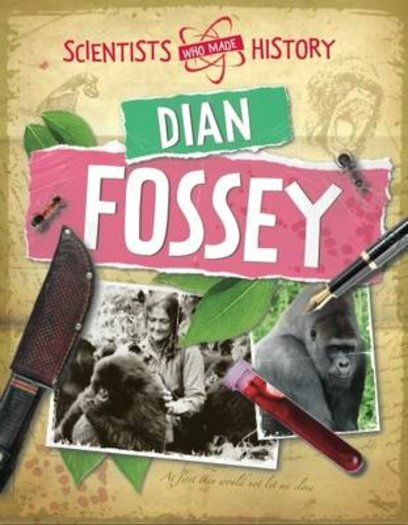 Now it’s time to learn about Dian Fossey, who went all the way to Rwanda in Africa to protect gorillas and study their behaviour. Find out about her achievements, her life and her violent death in a book that goes way beyond the lab. Science, boring? NOT!